to meet the many levels and changing needs of older adults. 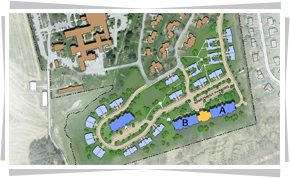 New cottages and apartments with various floor plans are under construction on our campus. Can Your Loved One Live Alone? Signs to help caregivers identify when an aging loved one is struggling to live alone. Every day, we plan something to keep our Residents busy. See what’s happening this month! Not only are we a Continuing Care Retirement Community, we are also a Catholic-Centered Retirement Community honoring all faiths. 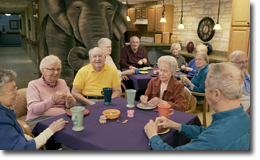 What makes St. Anne’s Retirement Community different from other CCRCs? Our Continuing Care Retirement Community campus features Residential Living, Personal Care, Skilled Nursing Care and rehabilitation services, including Physical, Speech and Occupational therapies. We are very proud of our Dr. Robert and Anna Roschel Skilled Care Memory Support Center and our NEW Ann B. Barshinger Personal Care Memory Support Center. While St. Anne’s deeply treasures its Catholic sponsorship, identity and heritage, we revere and respect God’s presence in all people (approximately half of our Residents are non-Catholic). In addition to offering daily Rosary and Mass, the Pastoral Care Department also welcomes Protestant pastors from the surrounding community to preside at interdenominational worship services every Sunday afternoon. Our campus is beautifully decorated and maintained, providing a comfortable and home-like atmosphere. As a nonprofit continuing care community, our Residents and mission will always be our top priorities. We strive to provide Residents with a variety of exciting opportunities for health, wellness, spirituality and personal engagement. Our Residents also give back to the community by volunteering their time and talents to various organizations. We’re nearby, too. St. Anne’s is located in the scenic countryside of West Hempfield Township, just west of Lancaster. 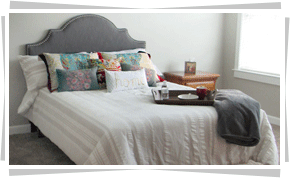 Perhaps it’s time to discover what you’ve been seeking in a retirement community! Visit St. Anne’s and find yourself home. Many of our Residents and their families value the level of spiritual support Catholic retirement communities provide in addition to quality care and accommodations. We pride ourselves in being among the best Catholic retirement communities in PA. As a matter of fact – we’re the only one in the region capable of providing the level of care, service, and support we enjoy offering each Resident!